THEY REMAIN will make world premiere at the H.P. LOVECRAFT FESTIVAL on October 7 in Portland and will have theatrical release commencing in the Fall. Based on the 2010 short story, "-30-" by award-winning author Laird Barron, THEY REMAIN explores the evolving relationship between Keith and Jessica, two scientists who are employed by a vast, impersonal corporation to investigate an unspeakable horror that took place at the remote encampment of a mysterious cult. Working and living in a state-of-the-art, high tech environment that is completely at odds with their surroundings, they spend their days gathering physical evidence, analyzing it, and reporting on their findings. The intensity of their work, and their extreme isolation, bring the pair closer. But, when Jessica discovers a mysterious artifact of unknown origin, the dynamic between them changes: secrets are kept, sexual tensions arise, and paranoia sets in. Keith begins to have visions and is unable to distinguish whether they are nightmares or hauntings. Having lost all sense of what is real and what is imagined, all he knows is that the horror he and Jessica have been sent to uncover—a horror that could be biological, psychological, or supernatural— now threatens his very survival. Gelatt’s acclaimed debut feature, "The Bleeding House," premiered at the 2011 Tribeca Film Festival. He combines multi-disciplinary experience as a graphic novelist and comic book creator for the “Indiana Jones” franchise, and for such companies as Dark Horse Comics and Oni Press, with his background as a video game writer for such companies as Crystal Dynamics and Frictional Games, and on “Rise of The Tomb Raider” (for which he won the WGA Award). 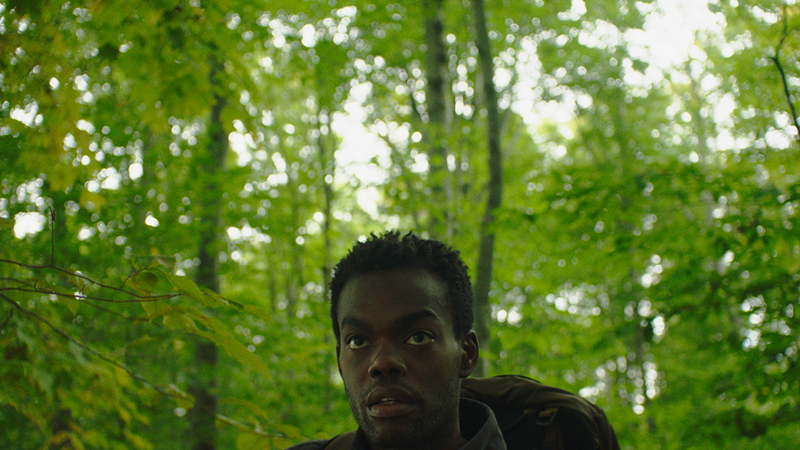 THEY REMAIN stars William Jackson Harper (“Paterson,” “True Story”) and Rebecca Henderson (“Mistress America”) as Keith and Jessica. The film's third "star" is cinematographer Sean Kirby, whose hallucinatory images contribute immeasurably to its disorienting, disturbing mood. Kirby's credits include the acclaimed documentaries "Racing Extinction," and "The Tillman Story," as well as Robinson Devor's notorious "Zoo," which created a sensation at both Sundance and Cannes.